Today is the start of a week of posts celebrating Scottish publishers. All the publishers who are joining me this week will give a bit background to their company and explain what kind of books they publish, a little about some recently published books/authors and what there is to look forward to in the way of forthcoming releases. 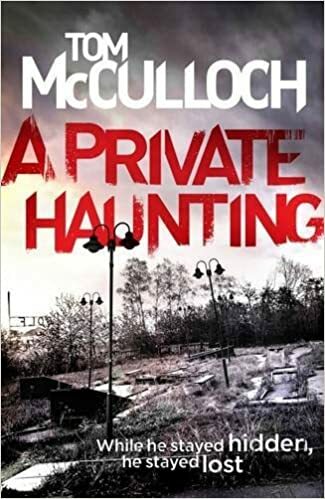 I’m delighted to kick off with Inverness based Sandstone Press and they have kindly offered a prize of Tom McCulloch’s A Private Haunting for one lucky reader – details of how to enter the giveaway are at the bottom of the page. Over to Keara Donnachie who will tell us more about Sandstone Press. Sandstone Press is an international publisher based in the Scottish Highlands. Founded in 2002 by Managing Director Robert Davidson, we are the most northerly publishing house of its type in Britain. The company is characterised by high editorial and design standards, internationalism, and a strong engagement with the contemporary world using modern methods. Our list ranges widely across genres and subject matter, with a separate strand of books in Gaelic published under the Lasag label. All are set in beautiful covers with a mainstream audience in mind. We specialise in literary fiction, crime, biographies and books about the outdoors. Our titles have won or been shortlisted for the Man Booker, Arthur C Clarke, Creative Scotland, Boardman Tasker, Walter Scott Prize for Historical Fiction and many more. We represent authors from all across the globe, and are known for our translated crime. Jorn Lier Horst (winner of the Norway’s Booksellers’ Prize, The Golden Revolver, The Glass Key and most recently, The Petrona Award) is the author of the William Wisting series, which is based on his experience as a Senior Investigating Officer of the Norwegian police force. His novels have recently been snapped up for a major six-series television series. It will be directed by Ole Sondegard of Good Company Films, the man behind both the British and Swedish version of Wallander. Jorn Lier Horst’s new novel, When It Grows Dark, will be published next March, and serves as a prequel to the series. Another one of our international authors, Volker Kutscher, will also see his work developed for television. 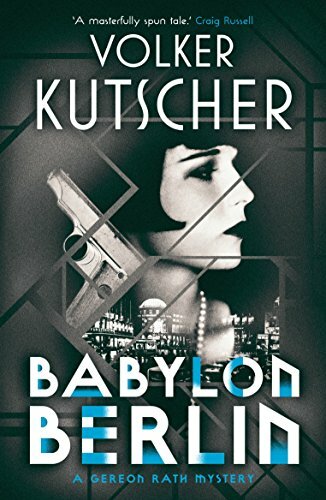 Sandstone Press published his novel, Babylon Berlin, this May. It is the first in the Gereon Rath series, and the second title, The Silent Death, will be released next year. The novels feature the exploits of Detective Inspector Gereon Rath in late 1920s Berlin, amid a cornucopia of drugs, politics, murder, art, emancipation and extremism. The 40-million-Euro series will be produced jointly by German public broadcaster ARD and Sky. The series will air internationally on Sky in 2017, and on German TV in 2018. Sandstone Press also pioneers home-grown crime authors. Lesley Kelly’s debut, A Fine House in Trinity, was longlisted for The McIlvanney Prize, Scotland’s Crime Book of the year. She will perform at Ian Rankin’s Bloody Scotland event on the 11th of September. Her new novel, The Health of Strangers, will be released in June 2017, and is the first in The Plague series. 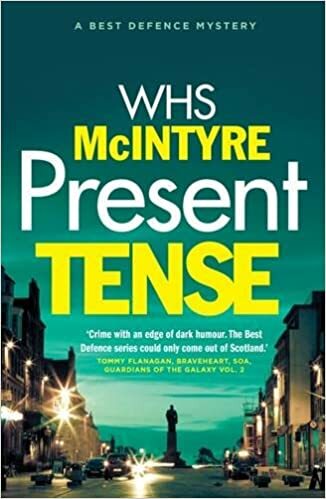 A new crime series by WHS McIntyre will be published this month, Present Tense. This will be followed with Good News, Bad News and Last Will in 2017. The Best Defence series is based on WHS McIntyre’s thirty plus years as a criminal defence lawyer. 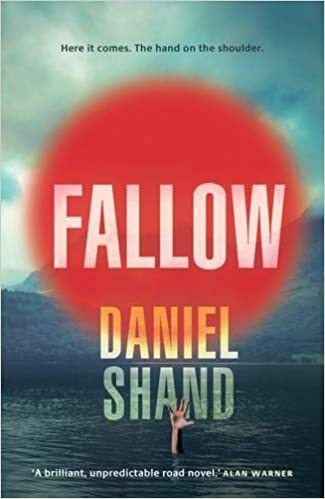 There is a rich vein of dry humour running through the series, which the author describes as ‘an antidote to crime fiction featuring maverick cops chasing serial killers’. Present Tense will launch at Waterstones Princes Street on the 15th of September. Once of our recent successes is Upbeat: The National Youth Orchestra of Iraq by Paul MacAlindin. A BBC 4 Radio Book of The Week and Amazon bestseller, Upbeat tells Paul’s story as the Musical Director of the orchestra, from its beginning to eventual end. The book had a wonderful launch at the Edinburgh International Book festival, with music from Kurdish-Iraqi harpist Tara Jaff. There was also a great event at Waterstones Piccadilly, where Paul was joined with musicians Alya Al-Sultani, Kanzia Pritchard and Max Shchedrowitski. With rave reviews from BBC Music Magazine, The Spectator, The Daily Telegraph and The Herald, Paul MacAlindin’s inspiring story has been shared far and wide. So, what else is there to look forward to from Sandstone Press? This month, we’re also releasing The Making of Mickey Bell by Kellan MacInnes, the tale of man’s journey to ‘compleat’ the Munros while fleeing his psychotic ex and the DSS, all against the background of independence. Also, Hello My Name Is… by Neil Burdess, charts the history and importance of personal names— given names, surnames, titles, and professional names. In 2017 (our fifteenth anniversary), look out for Peter Willcox’s Greenpeace Captain: Bizarre Wanderings on the Rainbow Warrior. The author faced a bombing attack of the iconic ‘Rainbow Warrior, resulting in the murder of a shipmate and endured imprisonment for peacefully protesting Russian oil drilling in Antarctica along with his crew. We’ll also be publishing new books from Sandstone authors Steve Chilton, Sarah Armstrong, Ajay Close, Hamish Brown, Peter Cunningham, Moira Forsyth, Rebecca McKinney and Stuart Campbell, as well as debuts from Addison Jones, Sarah Tierney and Magnus McGrandle. If you’d like the chance to win click here to enter the Rafflecopter draw. You can enter up to midnight on Sunday 11th September and the winner will be advised within 24 hours. Always nice to see a publisher based in Scotland – just checked out their books & can see a few being added to my bookcase! Great stuff, hope you enjoy if you buy/borrow. Good idea for a blog series, Joanne. Scotland has several quality publishers. It certainly does and I’m only covering five! So excited you’re highlighting Scottish publishers… Really great series! Thank you, lots of interesting posts this week. Great idea! Some really interesting titles. I look forward to reading about more Scottish publishers. Thank you – a great selection coming up this week. What a wonderful idea to highlight these publishers and their authors!